One of the greatest pleasures in my cooking life is to learn something new. Sometimes it's a new ingredient. Sometimes it's a new gadget. Sometimes it's a new technique. And I really love it when I look at a recipe and I'm skeptical about whether it will work or not ... and I throw caution to the wind ... and it works. Sometimes my gut is right and the recipe is a huge failure, like this horrifying butterscotch pudding that was almost (mostly) inedible. But sometimes my instincts are wrong and the recipe works and I do a happy dance. Then I sit back and wonder why it works and why I was skeptical. In this case, we're talking about a cheesecake cooked in a pressure cooker. The recipe came from The Great Big Pressure Cooker Book by Bruce Weinstein and Mark Scarbrough. The idea of cooking cheesecake in a pressure cooker sounded totally weird, but it was totally right. It wasn't so much the pressure cooking that perplexed me, but it was the fact that the cheesecake was cooked totally uncovered. That seemed like it would be wet. And messy. I was also concerned that the crust would be soggy. Because no one likes a soggy crust. I shouldn't have worried. When I pulled it out of the pressure cooker , there were a few drops of water on the edges of the cake, but I simply touched it with the edge of a paper towel and wicked it away. I don't know if I even needed to do that. But I did, and it was fine. And here's the thing. When you cook a cheesecake in an oven, it cooks from the outer edges inward, so the center is less cooked than the outer edges, and when you cut into it, there are texture differences from edge to center. On the other hand, it seemed like the pressure-cooked cheesecake was evenly cooked from edge to center to edge. So that was nice. The hardest thing about making this was waiting for it to cool. But it's a necessary step. I'd suggest making it in the evening so you can hide it in the fridge overnight. Because if you make it earlier, you're just going to be clock-watching and wondering if it's chilled yet. It's okay, though. It's worth waiting for. Next time I make this, I think I'll add some almond extract to the cheesecake and maybe some ground almonds to the crust. Set a rack into your stovetop or electric pressure cooker and add 2 cups of water. Make sure the pan you want to use will fit. The recipe calls for a 2-quart round baking dish with high sides, or a 7-inch springform pan. I suggest the springform, since it's easier to remove the cheesecake. *I used my food processor to blitz the crackers to crumbs in the small bowl, then processed the filling in the large bowl. Mix the crumbs and the melted butter until all the crumbs are evenly moist. Butter the inside of your selected pan (I used a spray) and add the crumb mixture. Press the crumbs into the bottom of the pan and about halfway up the sides. Put the cream cheese and sugar in your food processor fitted with the metal blade and process until smooth. Wipe down the sides of the bowl as needed to make sure everything is well mixed. With the processor running, add the eggs one at a time, processing until smooth after each addition. Next, add the sour cream, then the flour. Process for 1 minute. Add the lemon juice, zest, and vanilla and process until creamy. Scrape down the bowl as needed to make sure it's all well-mixed. Pour the batter into the prepared pan. Don't cover it. I know you want to, but don't. Fold a double-thickness of foil (about 24 inches long) in half lengthwise. Use this to form a sling that will hold the pan and allow you to lower it into the pressure cooker and to remove it when the cooking is done. Lower the pan into the pressure cooker and crimp the ends of the sling to fit neatly inside the pot. Lock the lid on the pressure cooker. In a stovetop cooker on low pressure: Heat on high until low pressure is achieved, then lower the heat so you're able to keep pressure, but it's just barely there. Cook for 35 minutes. When the time is up, take the pot off the heat and let it reduce pressure normally. This should take about 10 minutes. In an electric cooker: Cook at high pressure for 25 minutes (I cook for 31 minutes, since I'm at high altitude). When the time is up, turn cooker off so it doesn't switch to the warming setting and let it reduce pressure naturally, which should take 12-15 minutes. Unlock the pot and carefully remove the pan. Cool for 1 hour on a rack. If you used a baking dish, refrigerate for 3 hours, then unmold it onto a cutting board, then flip it over onto a plate (I haven't done this so I don't know how tricky it is), then refrigerate for an additional 6 hours before slicing. If you're using a springform pan, unfasten and loosen the ring after the 1-hour rest, and remove it, then refrigerate for at least 6 hours before slicing. Each recipe has notes from the testers, and one suggested using a mixer to beat the cheesecake, rather than using a food processor. That tester said that the beaten cheesecake was lighter in texture while the one mixed in the food processor is denser. Next time I'll try the mixer and see which I like better, but I did like the smooth creamy food-processor version a lot. Look HERE for my review of this book on Munching on Books. 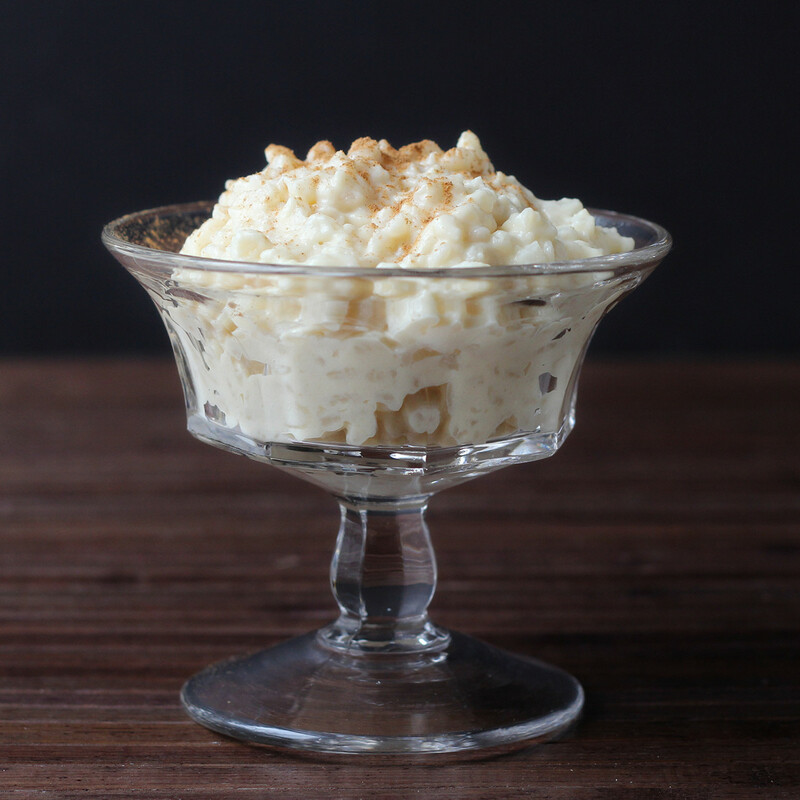 Rice pudding cooked in the pressure cooker. 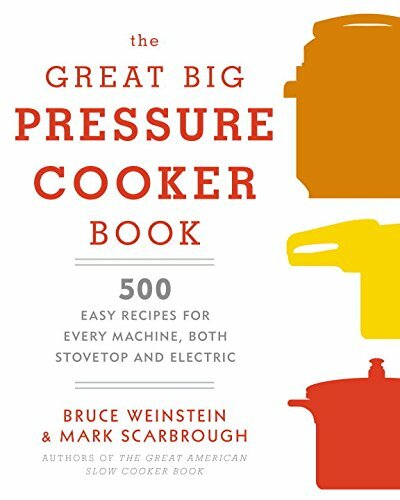 If you have a pressure cooker, or if you're thinking about getting one, this book is a must. I'm serious. Run out and buy it now. Most pressure cookers come with recipe booklets which are useful for figuring out how long to cook your chicken or rice, but there aren't a whole lot of recipes - and I didn't think that the ones that came with mine were all that exciting. 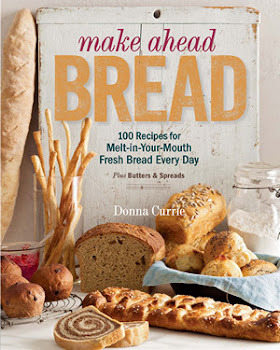 This book has 500 recipes, so it's a sure bet you'll find something you love. I'm not looking at this so much as a pressure cooker book, but as a comprehensive cookbook that happens to use a pressure cooker. The rice pudding I tried was just about perfect. I live at high altitude, so I think it would have been completely perfect if I had added just a little more liquid and cooked it just a little longer, but at sea level, it would probably be exactly right. Ground bed chili cooked in the pressure cooker. I also tried a chili recipe. I know how to make chili, so it's not something I absolutely need a recipe for, but I'm always interested in new recipes. this one was fairly simple, but very good. The great thing was that in a very short cooking time, the result was like a long-cooked chili. I thought it was great that the tester's note were included in the book. Some were comments about the results, but others gave tips and suggestions, so they're worth reading. One thing to consider with pressure cooker recipes - not just this one, but any one - is that the cooking time starts when pressure is achieved, and how long that takes depends on what you've got in the pressure cooker. A lot of liquid is going to take longer to come to a boil, while the 2 cups used for the cheesecake was boiling in a very short time. Then, you have to account for cooling time. This book tells you how long it's going to take, but some books don't account for that. So dinner could be later than you think.